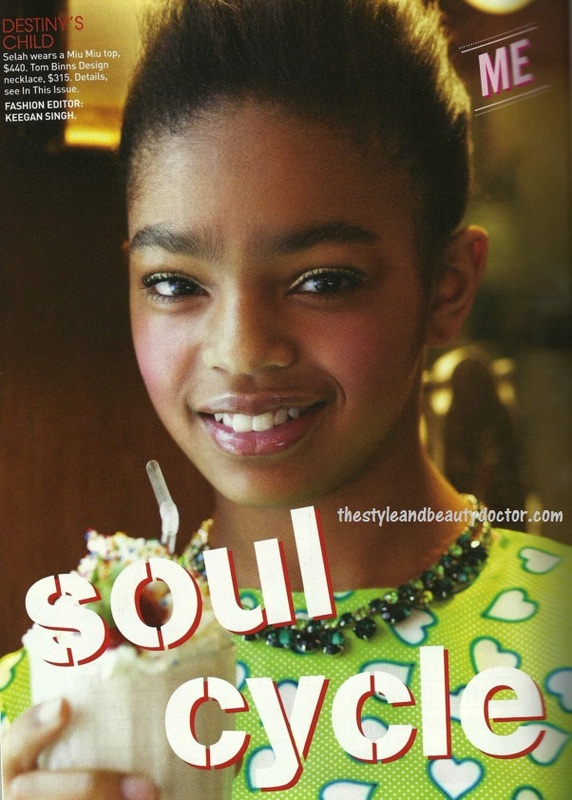 *Her mom Lauryn Hill may shy away from the public spotlight from time to time, but 12-year-old Selah Marley appears to be just the opposite – as she is featured in a photo spread for the April 2011 issue of Teen Vogue. The tween, whose father is Bob Marley’s son Rohan Marley, discusses her love of singing, Justin Bieber, and dreams of following in the footsteps of her famous mama, who is currently on tour. She looks older than 12 more like 16 at least. She is a prety young lady none the less like her mother. I hope she has a good head on her shoulders because lauryn seems to be a bit scattered behavior wise at times. Best wishes to the kid. I definitely see her parents in her face. A very beautiful young lady. Hopefully, she will NOT follow in the footsteps of her mother! She’s a natural beauty. I hope she has a great life and future. Goodluck to Selah. Glad she’s looking like a cute young lady rather than a wannabe video vixen. What a relief and breath of fresh air! She is a cutie, but they put way too much make up on her. Cute little lady. Her mom’s is not crazy, record company was trying to control her and she fought back. So now if you don’t do what they tell you you are crazy. Much success to Selah. She is beautiful.